A woman sustained non-life threatening injuries. A MAN HAS died after being struck by a 4X4 while out walking this evening. 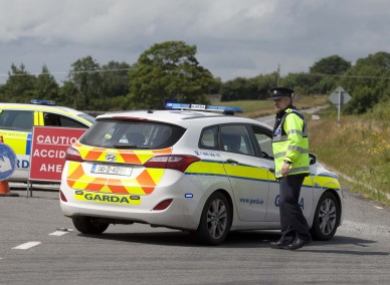 The man was struck shortly before 9pm this evening while walking on the Peamount Road, near Newcastle in Dublin. It is understood that a woman was walking with him. She was transferred to hospital but her injuries are not thought to be life-threatening. The man was treated for his injuries on site but was later pronounced dead. The stretch of road between the Grand Canal and New Nangor Road is closed. Gardaí in Clondalkin are investigating the crash and can be contacted on 01- 666 7600. Email “Man killed after being struck by SUV while out walking in Dublin”. Feedback on “Man killed after being struck by SUV while out walking in Dublin”.